Then enter our Adventure Of The Week contest because we’re giving you and two of your friends the chance to win an exhilarating and amazing sightseeing adventure over the Space Coast with Cocoa Beach Helicopters! 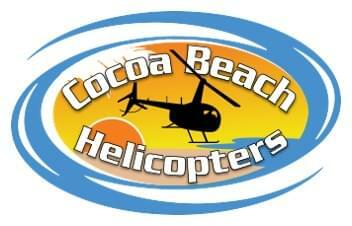 This Adventure Of The Week will take you on a Classic Helicopter Tour of Cocoa Beach and the Thousand Islands, (To see exact details and routes, please visit cocoabeachhelicopters.com/ClassicTour), Extend your tour down the beach to see all of the Cocoa Beach area! Then your pilot will take you over the Banana River where you will circle the Thousand Islands, home of pelicans, manatees, and dolphin and animals galore! Be sure to bring your camera or phone to take videos and pictures and show us on Facebook by tagging (@beach985 and @cocoabeachhelicopters) and using the hashtags #cocoabeachhelicopters #CBHeli #StayBeachy and #beach985! Simply fill out the form below with your information and hit submit and you’re entered! It’s that easy! You can also gain additional entries as well! Then be listening every single Friday at 8:50AM when SuperDave and Eric In The Morning will announce the weekly winner! All WSBH-FM 98.5 The Beach – Horizon Boradcasting Company, LLC contesting rules apply. For additional rules and regulations please visit our Contest Rules page. Up to two entries per household, and no more than two entries per week. Adventure awaits you…so don’t miss this contest!